Thanks for Making Our 7th Annual Customer Appreciation Dinner a Success! Over 850 customers attended the annual Alpine Customer Appreciation Dinner last week. All of us at Alpine had a fantastic night and enjoyed seeing all of your friendly faces. A number of folks asked about the pink t-shirts the employees and families were wearing. 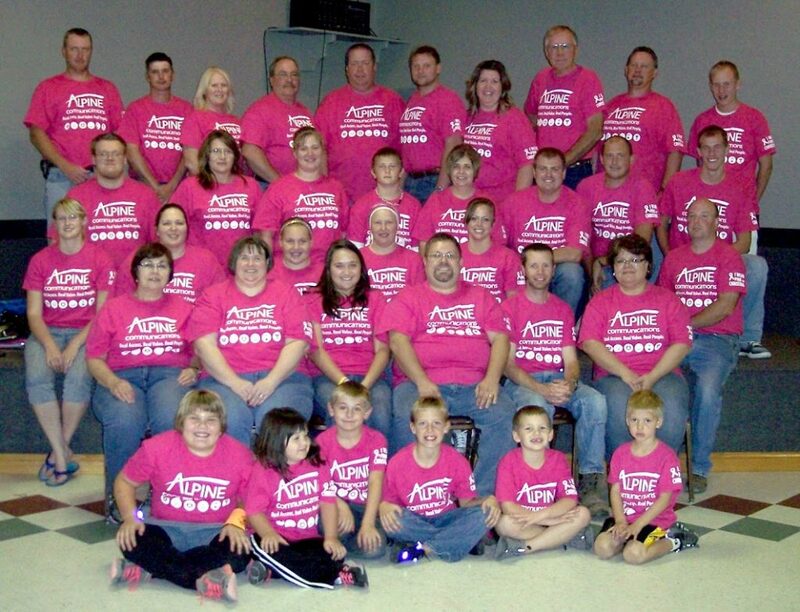 We wore pink to show our support for Christina Hopp, the wife of Alpine’s general manager, Chris Hopp. Christina is bravely fighting breast cancer and is undergoing her second round of chemotherapy. We still have pink t-shirts for sale at our office in Elkader for $10, and we are donating all proceeds to the American Cancer Society. Please stop by the Alpine office in Elkader to claim your prize or call us at 245-4000.